Current events in Ukraine draw much attention. 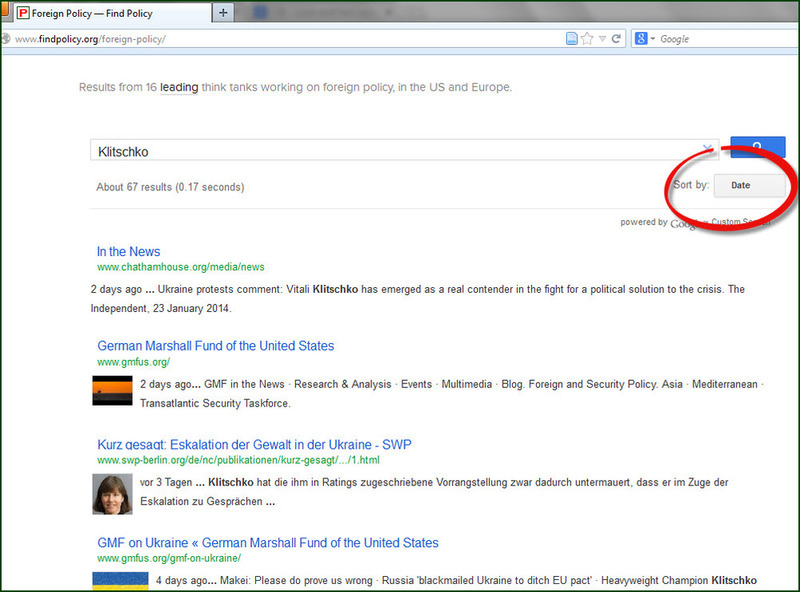 Find Policy gives you a fast way of checking out what the main think tanks have to say. The more specific the search, the better the results. For example, if you try to understand the role of one of the opposition figures, Vitali Klitschko, you can see what a number of think tanks have to say about him. And as the search term is specific and events are unfolding fast, this is one of the cases where you may want to search by date first.